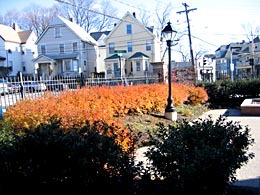 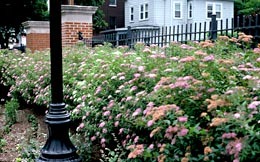 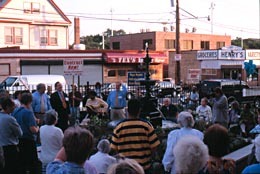 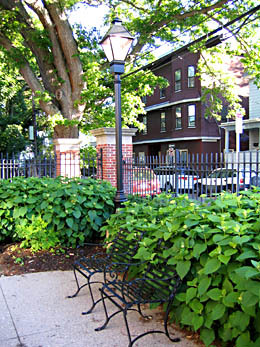 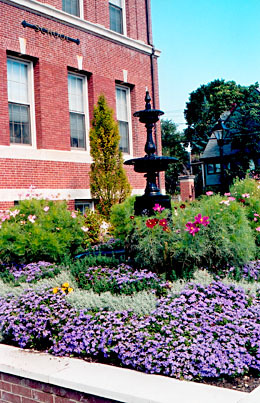 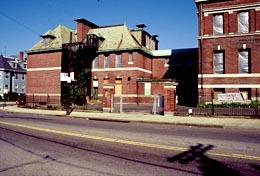 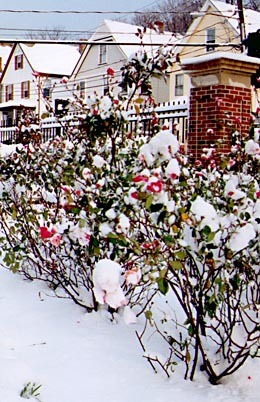 Roslindale Gardens provides an attractive park for the neighborhood while maintaining a sense of enclosure and privacy for its residents. 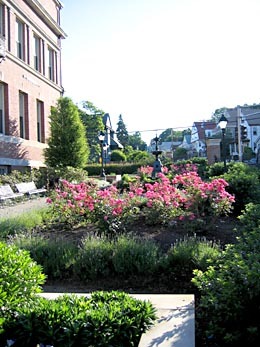 Structured beds complement the formality of the building’s architecture; a hedge of evergreen holly lined with flowering shrubs sets the garden apart from the street while allowing passersby glimpses of bright perennials and a cooling fountain. 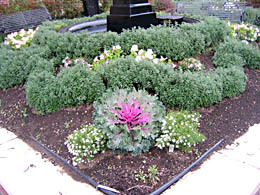 All the materials—walls, paving, furniture, and plants—are chosen to create lasting beauty with minimal maintenance. 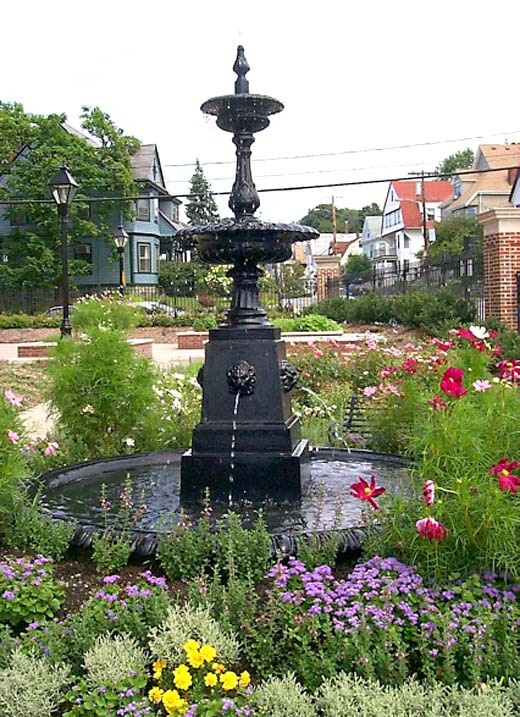 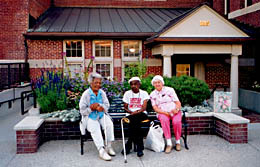 More than a setting for housing, the gardens provide a variety of places to go and things to see and do for its residents and the neighborhood. 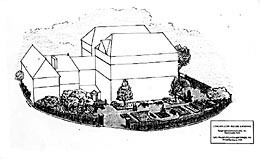 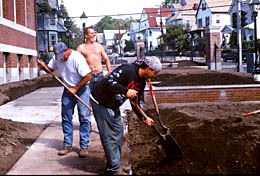 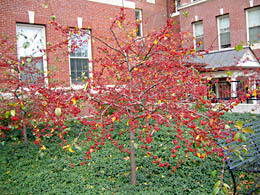 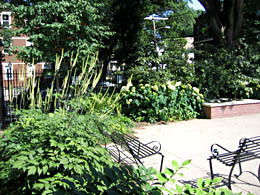 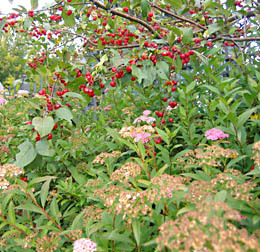 The garden has three areas: a formal entrance garden facing South Street, a sunny vegetable garden for residents and neighbors to plant together, and a shady garden for quiet reading and reflection.